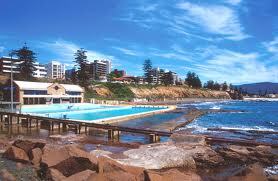 Wollongong NSW is one of the most adventurous regions south of New South Wales. It offers a cultural beach environment that is urban enough for anyone. When moving to Wollongong NSW, you should start by organizing and planning your move well in advance. Moving your furniture and other belongings is one of the major aspects that you will have to take care of so don’t rush this process too much as there could be issues if that’s what you choose to do. Selecting the right Interstate moving company is never an easy task however follow your gut feeling and make sure the company is one of good reputation. No matter what kind of removalist you work with, there are a couple of things you will have to keep in mind if you want to make the best out of it. Please advise your removalist if you have any extra heavy or unique items such as pool table, spa, safes, cabinets etc. The removalist may need to know this to bring the right equipment and quote the correct amount. When your moving to Wollongong, make sure you are leaving the heavy items such as pianos, pool tables, safes, and other similar things to the movers. They are experts and they will know how to move such pieces with care. This is the reason why they would take extreme care in moving such heavy and expensive items. All breakables need to be wrapped and packed safely. If your packing is not done carefully and correctly you cannot expect delicate items to make it to their destination in one piece. As much as the removals guys are careful there is some responsibility on the customer to pack correctly. Decoration pieces, utensils, flower pots and other similar things should be packed in sturdy boxes and should be wrapped in paper or bubble wrap. Your best bet would be to spend some extra time packing these items. Try to get these things in with care and notify the mover about their presence. Access on pickup and delivery is something the Mover Company needs to be made aware of. In some cases items need to be taken upstairs, or in an elevator and sometimes over a balcony. As this takes extra time the Interstate Removal firm must allow extra time for this type of access.